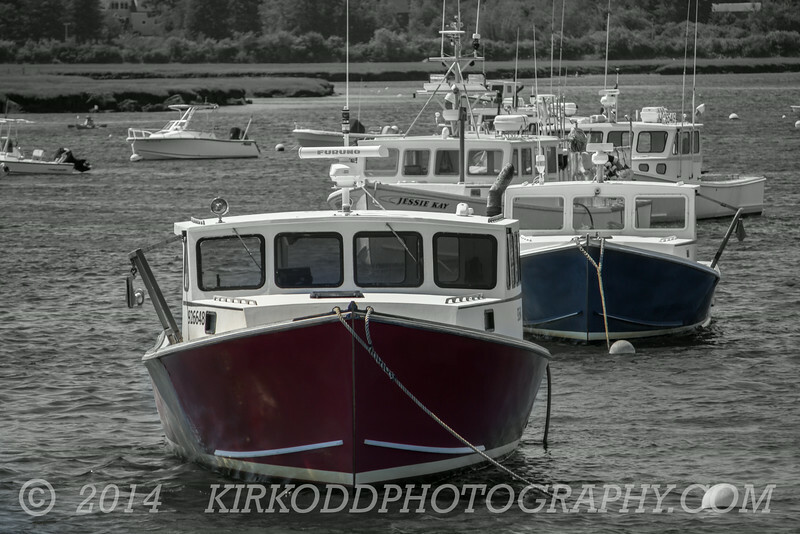 Lobster Boats moored at Pine Point in Scarborough, Maine. We tried this image out in full color and decided it looked too messy. We then tried it as a black and white and it looked too flat. So, we ended up going with a selective color approach to bring the two boats in the foreground out from the rest of the scene. What do you think?